Subverting the traditional quilting form by integrating modern concepts, his art transforms the comfortably familiar into the visually evocative. Luke Haynes was born and raised across the American South. 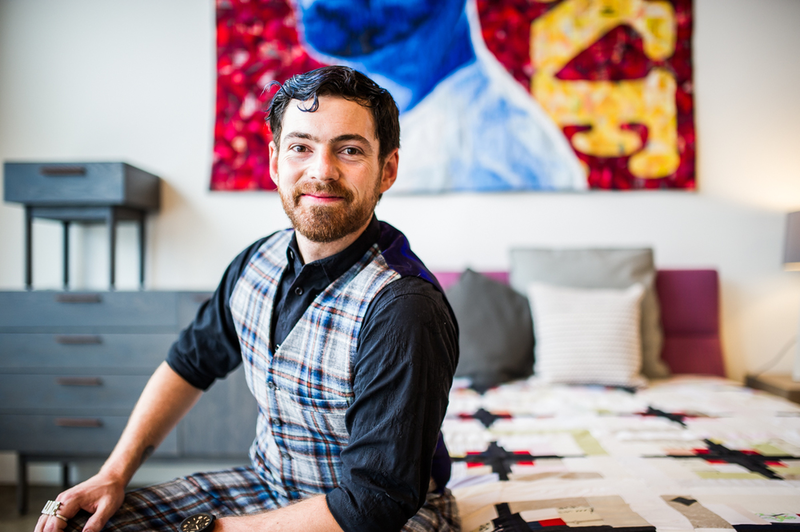 With a formal training in art and architecture at Cooper Union, New York, Haynes continues to experiment with quilting art while exploring art and architecture across the globe. A chance encounter with a box of fabric remnants sparked Mr. Haynes' imagination. His first quilt, measuring 7′ x 10′, led him through years of experimentation and improvements over the years that he has been quilting. Further honing his style, Mr. Haynes developed a system to piece manageable parts into a larger whole, applying a modern design sense to a familiar process. He uses reclaimed materials from the communities he works with in his projects to speak with the textile language of the area.